I played The Force Unleashed on the Playstation 2 and I must say I was impressed. This game had good graphics for the venerable PS2 hardware. While it doesn?t match the amazing graphics on the PS3 or Xbox, it?s still very good. The game starts off with a fight on the Wookie Homeworld of Kashyyyk. You play as Darth Vader, coming on to the battlefield during the attacked. You have your own mission to find the Rogue Jedi hiding on Kashyyk and destroy them. This level is where you as a player learn all your moves that will be necessary for challenges later in the game. The initial moves are fairly simple, and get move complex as you attempt combinations that generate more destructive actions. The available game characters are exactly what you expect them to be. Darth Vader is slow moving, but with epic like powers who needs to be fast? 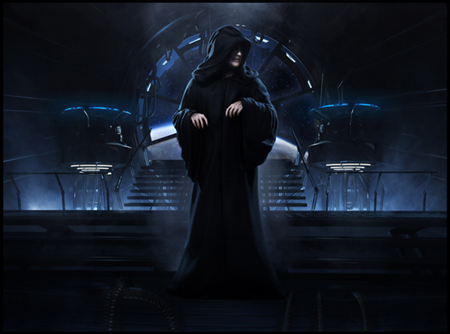 The Secret Apprentice mirrors Vader?s evil and is eager to please him. Clone Troopers are cannon fodder at the best of times. All the other characters you meet during your game play travels are interesting and diverse. The Force Unleashed game is awesome. The game is truly a first person light saber game. Everything you meet can be affected by your force powers, your light saber ? even your own men. While I was playing, I picked up a Wookie using the force grab and threw him over a cliff. One of the Lucas Arts people commented when he saw me do this, ?You never get tired of throwing people around.? He is completely right. It was fun messing with NPCs using my force powers. This is a very fun game. Unfortunately if you want to play against someone other than the computer, you are going to have to get a Wii, Nintendo DS, or a PSP. But whatever the platform you choose, The Force Unleashed is one of the best games I have played. August 6, 2008 The Force Unleashed On Your iPhone?